Most of us in the West are not familiar with what goes on in a monastery. First-time visitors to the monastery may wonder how to behave and what kind of conduct is expected. We kindly request that all guests (new and old alike!) 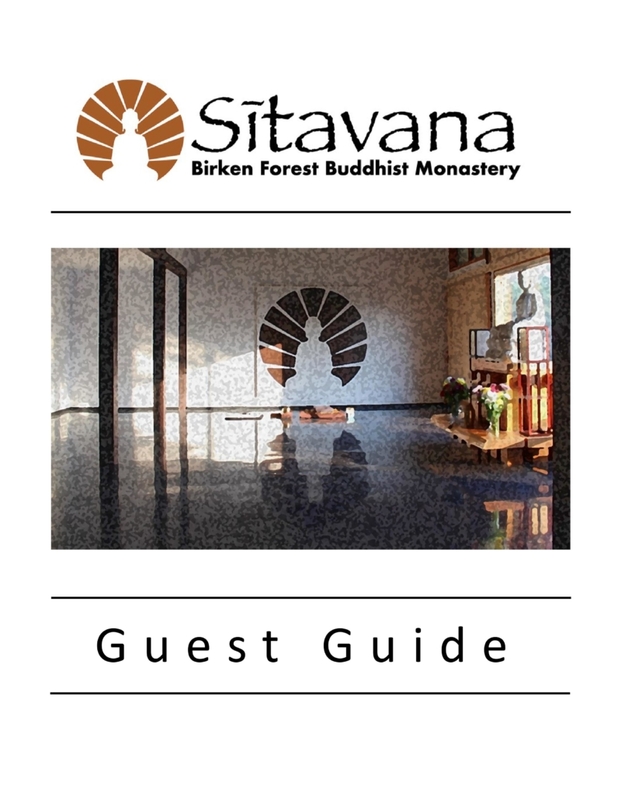 read our latest version of the Birken Guest Guide before their visit in order to become familiar with our various etiquette guidelines and schedules here at the monastery. We update this guide from time to time, so please ensure that you have read the most recently updated version before your visit. A copy of the Guest Guide will also be available in your room at the monastery. Loose, modest, “quiet” clothing (and, even in summer, a fleece coat or sweater) – see Dress Code in Guest Guide above. Earplugs (if sharing, your roommate may snore). Outdoor footwear (snow boots in winter season). Sunscreen and bug repellent (in spring/summer months). The monastery has a good supply of meditation mats, cushions and benches for guests. However, please feel free to bring personal “sitting gear” from home if you would prefer. You may wish to bring a shawl or blanket for warmth while meditating in the sala. You do not need to bring bedding; we have plenty of sheets, pillowcases and duvets for your use while you are here. PLEASE NO computers or other devices – guests are not permitted to use the internet while here.